I hope you have all had a marvellous, restful holidays! I have had a very busy break so far, but now it’s time to start returning to the reality of my ‘real’ job, getting ready for school to go back and kids sport gearing up again! Uuggghhhh! 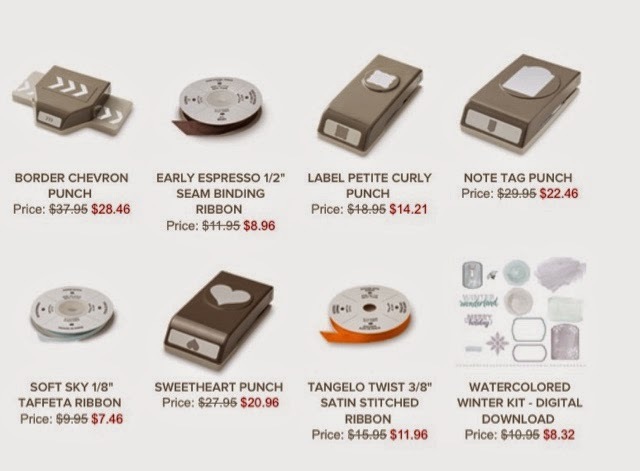 I thought I would share this weeks weekly deals with you as there are some fabulous punches that are discounted! 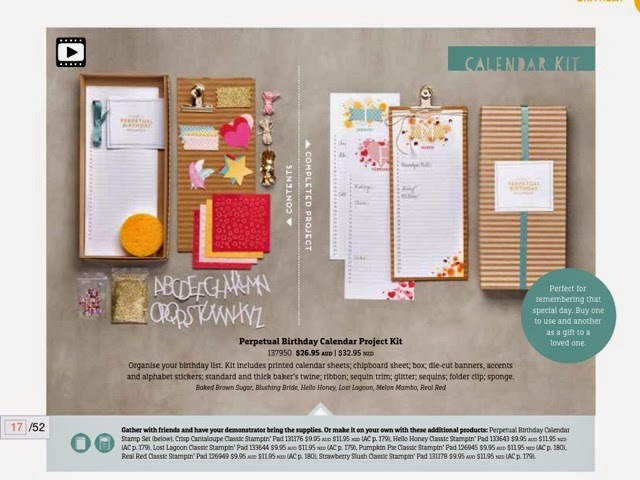 I also wanted to let you know that I will be running a class on Saturday the 28th of Feb at 1pm to complete the gorgeous new Perpetual Calendar Kit from the occasions catalogue. I have had a chance to look at this kit up close and it is soooooo nice! It even comes in the gorgeous box that you see in the pic, with no labels so you can gift it if you would like to! « Occasions Catalogue and Saleabration Start today!